Catholic priests from an evangelical group in northern Poland recently sparked a heated online debate after staging a controversial protest against occultism, idolatry and sorcery by burning various “sacrilegious” items, including Harry Potter and Twilight books, traditional masks and idols, and even a Hello Kitty umbrella. In photos posted on Facebook, several priests from the SMS from Heaven Foundation, in Koszalin, Poland, can be seen carrying baskets full of items they consider sacrilegious from their church to a stone fire area outside and setting them ablaze. Footage shows an African wooden mask, a small Buddhist figure, figurines of elephants and popular fantasy books like Harry Potter and Twilight being consumed by flames as the priests and a few altar boys watch. The objects were reportedly brought in by parishioners, who were encouraged by the priests to clean their homes of such evil items. 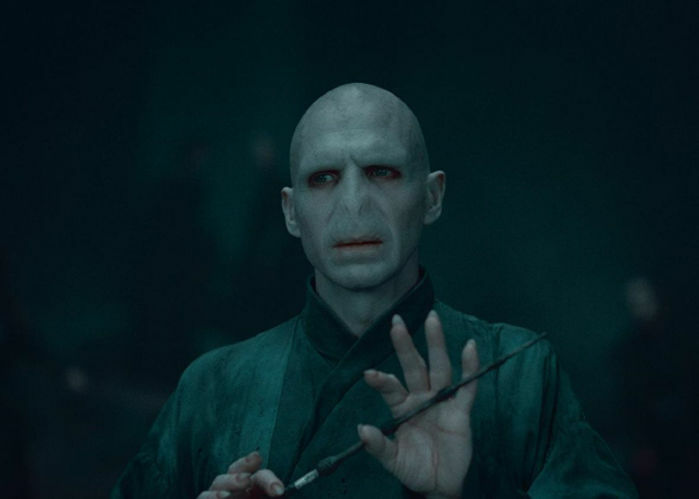 An insurance agent in Singapore recently got himself arrested after attempting to scam clients by sending them threatening letters signed by “Lord Voldermort”, a misspelling of Lord Voldemort, the main antagonist of the popular Harry Potter books. As a teacher, if you want your middle school students to get off their smartphones phones and and actually pay attention in class, you have to get creative. 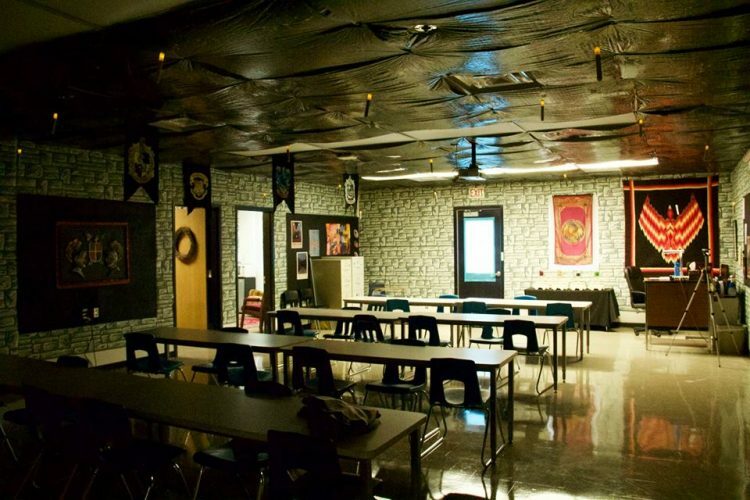 Take Oregon teacher Kyle Hubler for example, who transformed his classroom into an amazingly detailed, Harry Potter inspired dreamland – equipped with wands, owls, and costumes! Hubler, who teaches seventh and eighth graders at Evergreen Middle School in Hillsboro, first implemented Harry Potter-themed elements to his classroom, last year, and the students loved it. So when he heard that he would moving to a new classroom for the 2017-2018 school year, he decided to go all out and turn into a real-life version of Hogwarts. It’s been nine years since the last Harry Potter book and five years since the last movie, but Potter mania is still as strong as ever. The instant popularity of a new Harry Potter-themed cafe in Henderson, Nevada is proof of that. When ‘Bad Owl’ first opened its doors on February 13, hundreds of muggles were already waiting to get in, and it has since then been receiving worldwide attention for its delightfully rich Potter-themed decor and menu. The College of Wizardry, a recent event organised by Denmark’s Rollespils Fabrikken and Poland’s LARPing communities, gave Potterheads the opportunity to experience the world of Harry Potter by actually being a part of it. This, they claimed, was a whole lot more fulfilling and exciting than visiting the Wizarding World of Harry Potter theme park, in Orlando. Young Potterheads in China are in for a real treat – they have the chance to study at their very own Hogwarts! Well, it isn’t really a school of magic – the building is a part of the Hebei Academy of Fine Arts and will house the school’s animation students. But who cares as long as you get to spend hours inside a magnificent castle that strongly resembles Harry Potter’s famous school, right? Images of the impressive school went viral as more and more netizens began to notice that its various turrets and towers are a lot like Hogwarts School of Witchcraft and Wizardry. But the designers of the structure insist that they weren’t inspired by J. K. Rowling’s magical world; they simply modelled the castle after European architecture in general. They actually prefer to call it ‘Cinderella Castle’, since it features a gigantic clock tower. If you’ve ever fantasized about living at Hogwarts Castle (as all Potterheads do), then here’s some good news for you. The Georgian House hotel in London is offering its guests a Harry Potter Hotel Package, with Hogwarts-themed bedrooms that are designed to resemble Harry’s fictional dorm room. The Gregorian House is a four-star hotel built in 1851 and still run by the descendants of the original owners. While the hotel traditionally offers Victoria Classic and Belgravia Boutique rooms, they’ve decided to take full advantage of the renewed worldwide interest in Harry Potter, ever since J K Rowling released a new Harry Potter story on her website, Pottermore. Aptly named ‘The Georgian House’s Wizard Chambers’, the two transformed rooms contain everything that a would-be wizard might need – four-poster beds, potion bottles, cauldrons, spell books, and even battered trunks. The interiors are done up with ‘Hogwartsian’ accents, perfectly capturing the essence of the Potter universe. LEGO master Alice Finch has spent over 12 months piecing together an impressive model of the Hogwarts school of magic, from the Harry Potter movies, complete with decorated and populated interiors. LEGO makes its own official Harry Potter sets, but they weren’t enough for master builder Alice Finch. While the mother of two understands why the Danish toy company makes sets that are only finished on one side and accessible on the back, she wanted to build her own version that was architecturally accurate with 4 walls and a roof, minifigs scale, and also playable for big and little hands. She had been to many of the places in Oxford were some of the movie scenes were shot, so she already knew what it should look like. Still, Alice did plenty of research for her LEGO Hogwarts: she consulted J.K. Rowling’s books, watched the blockbuster Harry Potter movies and even went to the Harry Potter studio tour in London to see the sets in person. Many times, the details in the books and those in the films didn’t coincide, so she had to choose what worked best. But, after 12 months of piecing together her monumental model from around 400,000 LEGO pieces, she had created every Harry Potter fan‘s dream – her very own Hogwarts School of Witchcraft and Wizardry. A Harry Potter fan from Houston, Texas asked a local woodworker to build her a 9-foot-tall cat house inspired by The Burrow, the Weasley family’s famous home. Laura Marshall is a big fan of Harry Potter and three months ago she got this crazy idea of building a a real-life Burrow for her cats, right in the backyard. Since she didn’t have the skill and experience to pull off such a tricky job herself, she asked Wil Whitehouse of Whitehouse Wood Works to make it for her. She brought him a series of photos from the Internet for reference and the skillful wodworker got to work. Although in a normal construction setting he would cut all his studs the same size and try to keep everything level, he tried to give this model of The Burrow that out of square and out of level look by cutting pieces at different lengths. He got the fact that the house in the movie was held up by magic and waterd to capture that feel. Farmer Tom Pearcy, a big fan of Harry Potter, decided to celebrate the release of the final movie of the series, by carving a giant Harry Potter-themed maze in his corn field. Clearly a victim of the Harry Potter mania that’s sweeping the planet these days, Pearcy has cut two 50-meter portraits of the boy wizard in his Elvington corn field, thus creating the world’s largest spot-the-difference image and the biggest Daniel Radcliffe portrait ever. “I’m a big fan of Harry Potter and the release of the final film this summer marks the end of an era. I wanted to do something imaginative to say farewell to Harry, so creating the biggest image of him ever made and making it a spot the difference competition seemed like an interesting way to do that.” Mr. Pearcy told York Press. Believe it or not, this gifted farmer manged to create 10 km of intricate pathways for visitors to explore when visiting his maze, and did it all my carving over one million corn plants. You could say he’s had some experience at it, since his corn maizes have become sort of a local tradition and tourist attraction. In previous years he His previous corn maze designs include a Spitfire airplane, an astronaut, the Statue of Liberty and the Flying Scotsman. Harry Potter fans around have crowned their king and his name is Steve Petrick. 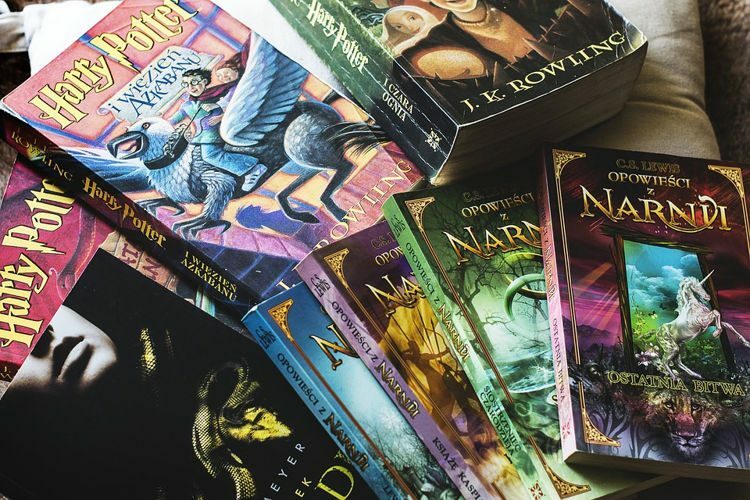 The 22-year-old, from Pittsburgh, Pennsylvania, has won the title of World’s Biggest Harry Potter Fan after entering an online contest, last year, and posting a video of why he should get first place. J.K. Rowling’s Harry Potter is the most successful film series in history, grossing billions of dollars at the box office and influencing the lives of millions of children around the world. But Steve Petrick was a die-hard fan of the fantasy world way before it was cool, and even though it pains him the movie series is coming to an end, he’ll be a fan even after its popularity wears off. A freshman fine arts major at Kent State, Petrick has been striving to become Harry Potter’s biggest fan since he first discovered Rowling’s books, and even though it took him 12 years to get the recognition he deserves, it’s never too late. What started out as a silly dorm sport has now become a national phenomenon, with over 400 registered Quidditch teams, all over the country. Should the lack of real magical powers prevent us from playing the fun sport we discovered in the wonderful world of Harry Potter? “Hell no!” said the students of America, who put a broom between their legs and started chasing each other across the field, trying to score points. Muggle Quidditch follows the main rules, described in J.K. Rowling’s book, apart from the flying part, of course. Teams are made up of seven players: three chasers, two beaters, a keeper and a seeker. Chasers try to throw the ball through one of the three hoops, while trying to avoid bludgers and dodgeballs, thrown by beaters. If they’re hit, they must drop the quaffle. Keepers guard the hoops, while seekers have to catch the snitch, a tennis ball wrapped in a sock and hanging by a person’s waist (usually a really fast dude dressed in gold). The catching of the snitch adds an extra 30 points, and ends the game. Quidditch players should keep the broom between their legs, at all times, or they are penalized with yellow and red wands. It’s a bit harder than it sounds, but people find Muggle Quidditch an intense and enjoyable game. Even prestigious universities like Harvard and Standford have their own Quidditch teams. The Wizarding World of Harry Potter is a theme park based on JK Rowling’s best selling series, Harry Potter, due to open in the spring of 2010, at Universal Studios’ Islands of Adventure resort, in Orlando.